Icing your skin might sound crazy but Ice Facial At Home is perfect for skin. 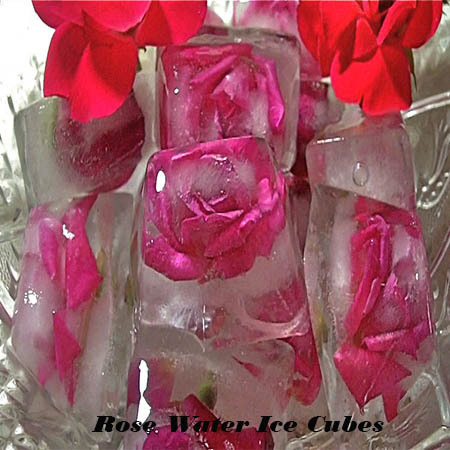 There are many benefits and beauty secrets of using an ice cube for the skin surface. 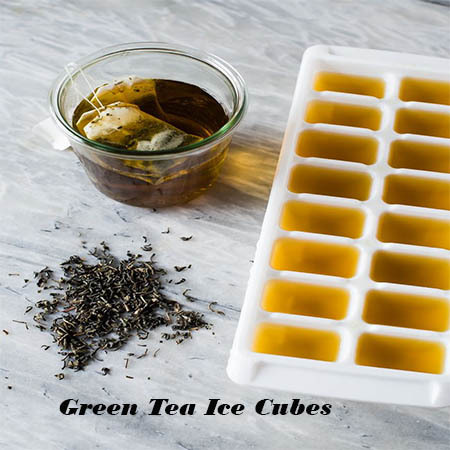 Ice cubes have incredible natural beauty secrets for your daily beauty routine. It is the natural product which is readily available at home and has the beautiful miracle for your skin. 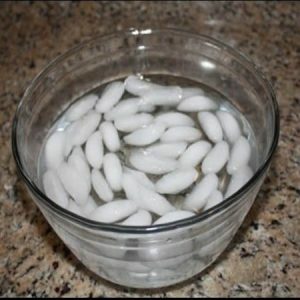 You can use ice cubes for your daily beauty routine and drink enough water as well. It can transform your beauty with no embarrassment. It gives you fresh vibrant and glowing skin. Here are seven fantastic beauty secrets of Ice Facial At Home. It numbs your eyebrow if you are going to pluck eyebrow first apply the ice cube on the eyebrow. It keeps you eyebrow away from swollen pain. So you can use it by rubbing Ice on your eyebrow. 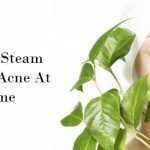 You will know about that Steam Face is helpful for Acne, but Ice is also beneficial to remove acne.. Ice relieve acne problem, If you notice a pimple on your skin, you can use ice cubes for your skin beauty routine. You can use an ice cube and massage it on your skin. 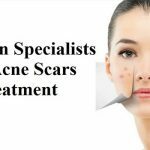 It will relieve acne and tighten the skin and decrease the redness and swollen also. By using Ice Facial At Home, you can get rid of the dark circle. You get the dark circle around your eyes. For this purpose, you have to wrap the ice cube into tissue or cloth and rub it around eyes. It will clear your skin. Ice cubes are very helpful for the open pores. It is one of the beauty secrets. You can use ice cubes to reducing the open pores. You have to gently massage ice cubes on your skin and lessen the open pores of the skin. It is one more important secret is that ice cubes use a makeup primer. Before doing makeup, you have to apply ice cubes wrapping it in clothing on your face. 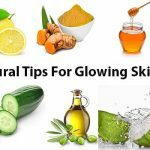 This will help you to glow skin and your makeup last longer. Ice cube also enhances the blood circulation. It gives glowing skin without going to the saloon. You have to apply two to three ice cubes on a face. You will get a magical result with it. It helps to circulate blood healthily and give nourishment to your skin. It provides massage to your skin. 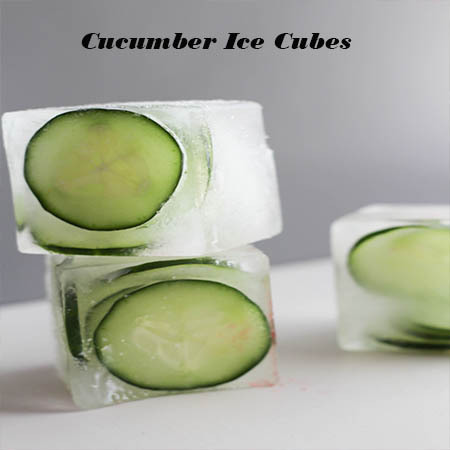 You can also make ice cube of cucumber, lemon juice, mint leaves, avocados, rose water and turmeric powder and freeze it to make ice cubes. Apply it 15-20 minutes wrapping it in clothing. 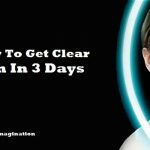 Here is the one minute Ice Facial At Home which helps you to get glowing skin. You will get rid of tiredness, puffiness, wrinkles and open pores. You will feel relaxed, and your skin will rejuvenate and glow too. For doing an Ice Facial At Home, you need bowl which is deep so your face can fit in a pan. You need cold water, Ice cubes, Rosewater, cucumber slices. 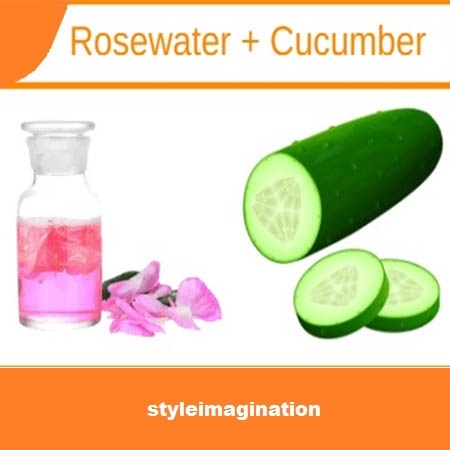 Take a bowl and put cold water in it now add 10 to 15 Ice cubes in it after that add rose water and cucumber slices in the pot. Now dip your face in ice water for 10 seconds. It will help you to get rid of tiredness. If you have puffiness on your face, it will help you to depuff your face. After that take a break of 10 seconds. After the break, the second time again dip your face in the water for 10 seconds. If your face has a pimple and swelling this ice facial will remove the redness. It will tighten your skin. Now after 10-second take break of 10 seconds. You have to repeat this for three-time Dunk for 10 second and break of 10 seconds. And this will complete your facial in just 1 minute. It will improve the blood circulation and add a glow to your skin. 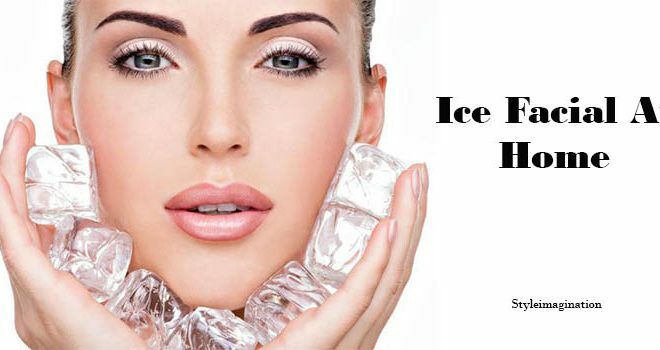 If you apply this Ice Facial At Home before doing makeup, it makes your makeup long lasting. This crazy cold remedy is the excellent source of relaxation especially in summer season And outnumbers expensive spas with its numerous benefits. 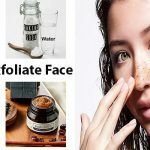 You can do this anytime to get rid of tiredness puffiness, dullness, pimples, wrinkles, and open pores, etc. The people who are suffering from sinusitis and meningitis can’t do this. 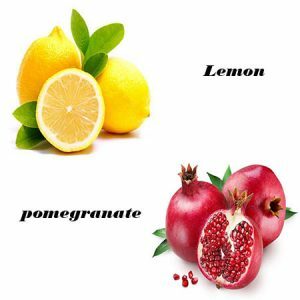 You need Potato, lemon, and pomegranate. Take one potato peel the skin and grate it. Add the grated potato in a mixer, add 1/2 bowl of pomegranate seeds and one tablespoon of water in a blender. Blend the mixture into juice and add 1/2 tablespoon of lemon juice to it and mix it well. Now Drain the fluid into an ice tray and fill each section. After that place, an ice cube tray in the freezer for five to six hour until the mixture is frozen. Remove an ice cube tray from a freezer once the juice in it is frozen completely. And your potato ice cubes are ready to use. Potato juice helps to lighten the dark spots. It contains an enzyme and natural bleaching property. Rub the ice cube on your face wherever you have the problem of dark spots and uneven skin tone. Then wash it off with cold water. You can use one or two ice cubes daily on your face to get rid off black spot. 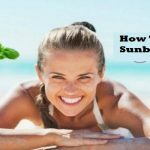 You will get a natural glow using this. 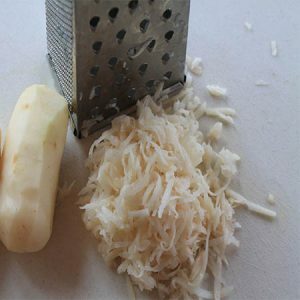 Potatoes have many benefits it helps to remove dark circle, and treating sunburn skin. It has natural skin lighting agent. 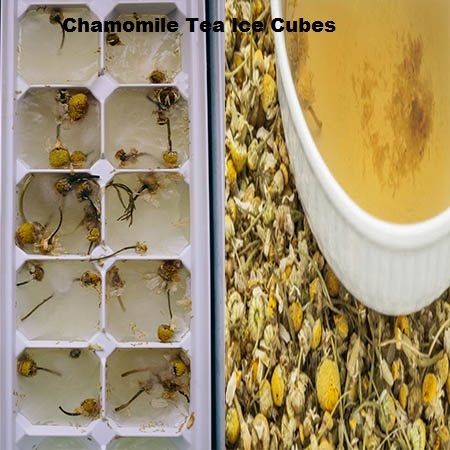 For extra skin advantages, you can infuse the water for the ice cubes with lemon, rosewater, green tea, cucumber, chamomile tea, and other skin-loving elements depending on your skin care needs. Ice is almost too cold and can damage the top layer of your skin, so if you apply moisturizer right after the icing you will get more profound, and it will be more effective. Don’t put ice on the skin for the too long time it will damage your skin, Keep moving the ice on the face. Rest if the cold becomes too harsh. Avoid icing one state for more than 10 minutes.